Roughly chop the onion and broccoli florets. Place the onion, broccoli, and coriander into a food processor and blend until smooth. Whisk together the chickpea flour, spices/herbs, and the ground flax seed in a separate bowl, then stir in the broccoli mixture until fully combined. Using your hands, shape the mixture firmly into 6 small flat burgers. Leave them in the fridge to chill and firm for at least 20 minutes. Add the oil to a frying pan and preheat on medium heat. Fry the burgers until they are golden on each side. Serve immediately. These are a delicious meat-free alternative to burgers! They are also a great way to use up any leftover broccoli you have. 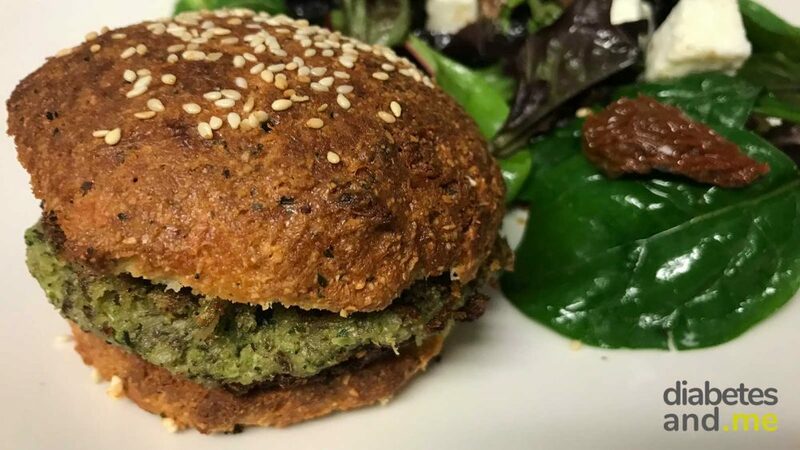 Who’d have thought vegetables could make such tasty burgers? I like to serve these with low carb burger buns, celeriac fries and a salad. 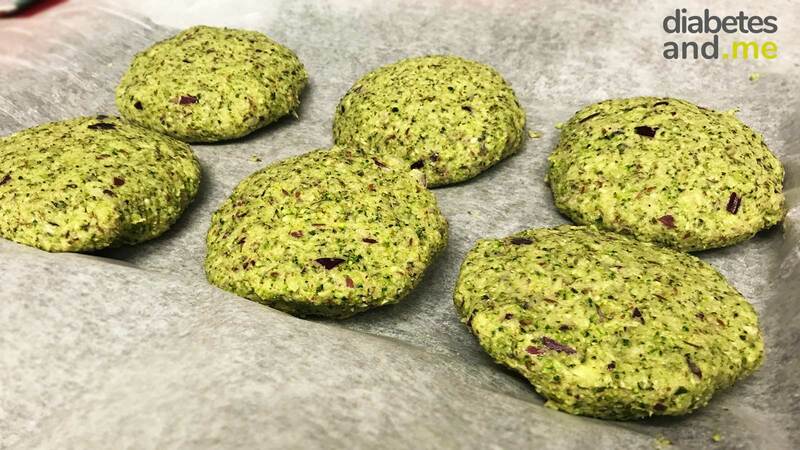 I make these with chickpea flour, however, you can substitute this with any other low carb flour, such as almond flour. If you are like me and need to limit your fat intake, you can fry the burgers in a frying pan with a small amount of oil. I tend to use an olive oil spray as that helps me to use less. Alternatively, you could grill the burgers until they are golden on each side. This should bring the fat content down to around 3g of fat per burger.